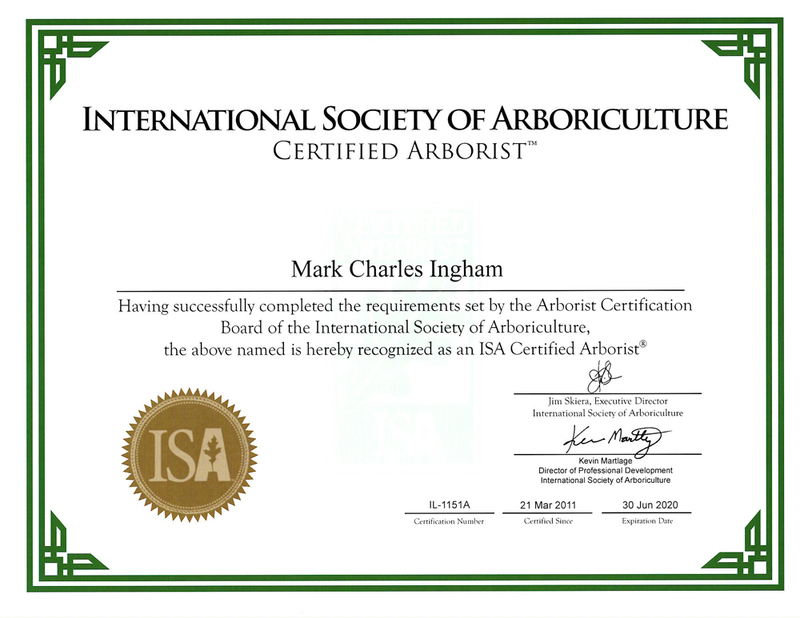 Arborists are certified by the International Society of Arboriculture (ISA). To earn an ISA Certified Arborist® credential, you must be trained and knowledgeable in all aspects of arboriculture (the care of trees and shrubs). ISA Certified Arborist® have met all requirements to be eligible for the exam, which includes three or more years of full-time, eligible, practical work experience in arboriculture and/or a degree in the field of arboriculture, horticulture, landscape architecture, or forestry from a regionally accredited educational institute. This certification covers a large number of topics, giving the candidates flexibility in the tree care profession. Why is it important to use a Certified Arborist? A well cared for tree is attractive and adds value to your property. Tree health is both an art and science. The art helps in proper trimming to improve aesthetics and reduce wind load, ensuring your tree is beautiful and safe from harm. The science allows an arborist to assess tree health and suggest possible strategies to restore a sick tree to better health. Not everyone who works with trees, or has a chainsaw and a truck, is an Arborist. Don’t risk the care of your trees to an untrained individual. The knowledge and skills of a Certified Arborist allows you to have the best array of options to address your tree related concerns. Make sure to check credentials to ensure your tree will get the best possible care. 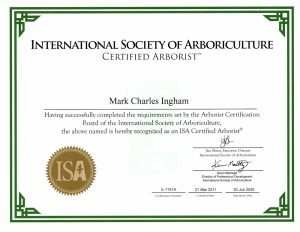 The credentials for anyone claiming to be a Certified Arborist can be found on the website of the International Society of Arboriculture (ISA).